WASHINGTON (AP) — “Medicare for All” has become catnip for Democratic presidential candidates and many lawmakers, yet Republicans prepping for next year’s congressional races are also flocking to it — for entirely different reasons. GOP strategists say they’ll use proposals to expand government-run health insurance to pummel Democrats for plotting to eliminate job-provided coverage, raise taxes and make doctors’ office visits resemble trips to the dreaded Department of Motor Vehicles. If Republicans can define the health care issue on their terms — and they face significant obstacles — that would be a stunning turnabout. “Democrats have opened the door,” GOP consultant Glen Bolger said. Democrats made health care their defining 2018 issue as they captured the House and limited losses in a difficult set of Senate races. They denounced Republicans, who tried repealing President Barack Obama’s health care law, for seeking to end coverage for patients with pre-existing conditions. In one monthlong stretch last fall, 6-in-10 ads backing Democratic House candidates focused on health care, according to the nonpartisan Wesleyan Media Project. Rep. Tom Emmer, R-Minn., chairman of the House GOP’s campaign committee, says thanks to Medicare for All, times have changed. Republicans intend to tie the proposal to other currents in Democratic politics, including the Green New Deal for fighting climate change and talk of President Donald Trump’s impeachment and reparations to slaves’ descendants. The goal: A narrative that Democrats are marching toward socialism and beholden to extremists. Yet it’s unclear that Medicare for All will be the tonic GOP tacticians envision. Elections are 21 months off and will be dominated by Trump and his Democratic presidential rivals, whatever congressional candidates emphasize. And Republicans start with a disadvantage: A November poll by the Pew Research Center found most people preferred Democrats’ to Trump’s handling of health care. Looking to woo moderate voters, Democrats led by now-Speaker Nancy Pelosi, D-Calif., campaigned last year on an agenda that included curbing prescription drug and other medical costs. A total health care overhaul wasn’t featured. 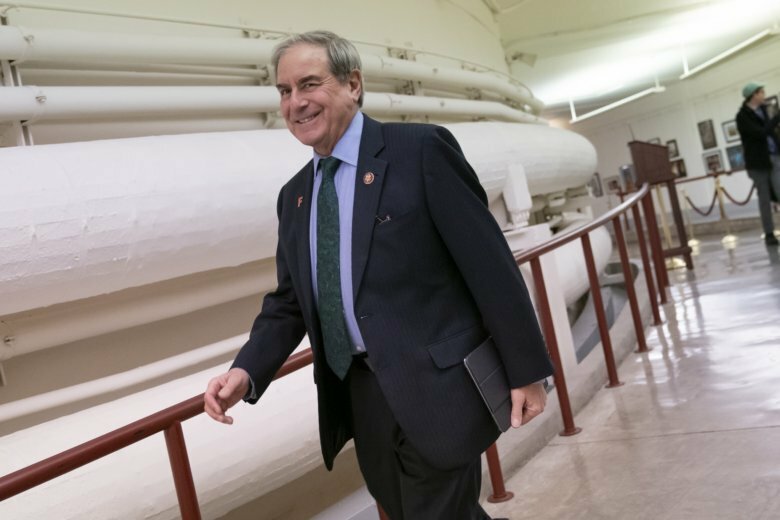 “Nobody has to advise Nancy on the political implications of any policy,” said House Budget Committee Chairman John Yarmuth, D-Ky. While Pelosi said in a brief interview that there will “probably” be votes on some type of Medicare for All, few expect a full-blown version to reach the House floor. Instead, committees will hold hearings while work proceeds on other measures, like curbing prescription drug prices. “We will deliver on our promise of passing legislation to lower the costs of health care,” said Rep. Cheri Bustos, D-Ill., who heads House Democrats’ campaign organization. Medicare for All is “just one idea,” she said. Democrats worry that Medicare for All would put candidates on the defensive in suburban swing districts, where moderate voters abound. Those districts were crucial to House Democrats’ 40-seat gain last November and will be 2020 battlegrounds. “Do what you can to help people now, and don’t get yourself in a box on Medicare for All, which can’t pass Congress” soon anyway, advises Democratic consultant John Anzalone. There are several Medicare for All variants. The most sweeping would replace today’s blend of private and federal health care like Medicare and Medicaid with a federally run system for everyone, likely financed by higher taxes or astronomical boosts in federal deficits. One was introduced by Sen. Bernie Sanders, I-Vt., a Democratic presidential candidate, and co-sponsored by fellow presidential contenders Sens. Cory Booker of New Jersey, New York’s Kirsten Gillibrand, Kamala Harris of California and Massachusetts’ Elizabeth Warren. A similar House measure by Reps. Pramila Jayapal, D-Wash., and Debbie Dingell, D-Mich., has over 100 Democratic co-sponsors. Government coverage would replace private policies and patients would pay no premiums or deductibles. The 10-year price tag would be an enormous $25 trillion to $35 trillion, private estimates say, though supporters say it would cost less. While Medicare for All polls well, the details face skepticism. While a January survey by the nonpartisan Kaiser Family Foundation showed that 56 percent back the overall idea, majorities turned against it when told it could boost taxes and eliminate private health insurance companies. “Once you get past the bumper sticker, it doesn’t do that well. It’s got a glass jaw” when details are explained, said Jim Kessler, executive vice president of center-left research group Third Way. Because Medicare for All is deeply popular with Democrats’ presidential contenders and galvanized liberal wing, it should remain a prominent campaign theme. That invites Republicans to wield it against Democrats whether they’re supporters or not. “It’s hard to imagine that Medicare for All doesn’t become the banner which Democrats have to defend up and down the ticket,” said Steven Law, the president of the Senate Leadership Fund, a super political action committee whose purpose is to help Republicans win more Senate seats. In 2018, Republicans had little success accusing Democrats of backing Medicare for All. Democrats won House seats in Maine, Texas and elsewhere despite such attacks. Those ads tried tying him “to national Democrats and policies that were not going to have a great deal of acceptance,” Davis said last week. The proposals could also fuel Democratic primary challenges, particularly in urban districts loaded with liberal voters. Activist groups like Justice Democrats, which last year backed Rep. Alexandria Ocasio-Cortez’s successful ouster of a longtime Democratic incumbent from New York City, say Medicare for All will be one test as they seek targets. “We need Democrats fighting for big ideas and big solutions,” said Waleed Shahid, spokesman for the group. Associated Press writer Ricardo Alonso-Zaldivar contributed.